Your office, business, downtown condo, etc is located in an area where you are exposed to bad odors from businesses in your vicinity, i.e.- seafood store, fish market, print shop, restaurant, cigar store, parking lot, repair shop, gas station, auto repair shop, etc. – and you want relief, you want to reduce the flow of these unwelcome bad odors, chemical fumes, chemical odors into your home, office, business. We have industrial grade, commercial grade air filtration systems equipped with chemical gas filter, activated charcoal filter to help provide relief. Contact us for help with choosing the right air filtration system, air cleaner, air purifier, air scrubber for your needs and application. 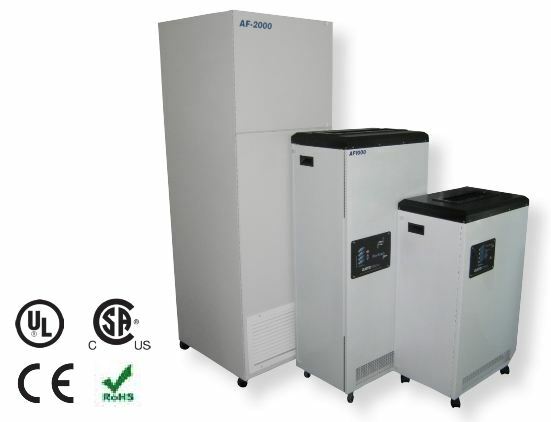 For help in choosing the right air filtration system, air scrubber, air filtration for your application please feel free to contact us, toll free, at 1-800-626-0664, outside of North America please call +1-514-421-0658 or fill out the contact form below. Submitted on Thu Nov 21 19:29:44 2013 (GMT).